Based on the classic American horror story by Washington Irving. 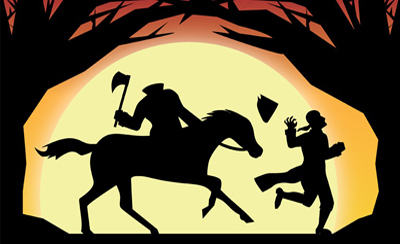 In the old town of Sleepy Hollow Katrina Van Tassel meets the new schoolmaster, Ichabod Crane. He desires her hand, but several obstacles stand against their pairing including local ruffian, Brom Bones, and the ghostly spectre of a Headless Horseman rumored to reside in the area.